We set up the My Guernsey Facebook page to promote our beautiful Island to the world and to bring some positivity to local Social Media. IBZ works very closely with Pukka Up so we were really happy to help out with their new website build. The site is designed for mobiles, and uses the bespoke ticketing system created by IBZ.TV. My Ibiza 2017 is back, bigger and better. Our Social Media regularly reaches over 1 million people a week. We’re thrilled to annnounce the launch of a new website. This one to promote a high end painting and decorating service in Guernsey. 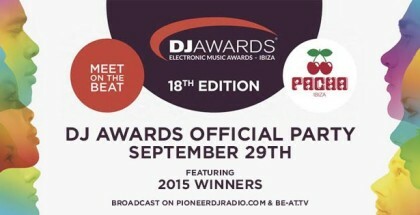 The annual DJ Awards took place last night in Ibiza and Pulseight is thrilled to be involved again. You can view all the latest news on the DJAwards website, designed and built by Pulseight.